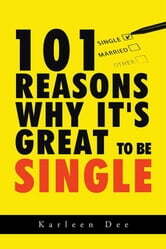 "A fun, light-hearted book about all the reasons why it's great to be single. No shaving! Eating all the garlic! Guilt-free travelling with friends! A wonderful book for you or a friend going through a breakup, or anyone who just needs a reminder of all the positive things that come with being single." How to Pump and Dump chicks - What to do and what to avoid.